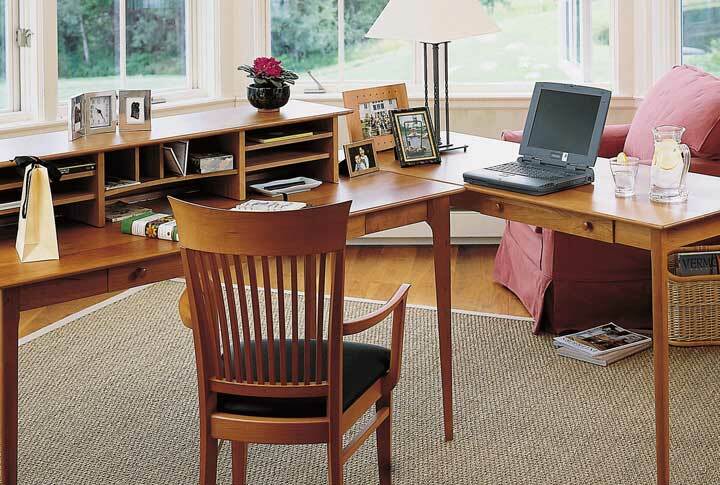 When properly cared for, solid wood furniture will last for generations. Many woods develop a beautiful patina with age that cannot be duplicated by any other type of material. You can also sand and refinish solid wood to return it to a “like new” condition. Occasionally, fine furniture may also feature a real wood veneer over hardwood plywood. This is usually in areas where a solid piece of wood in the same shape and/or dimension would be less stable. Sometimes it is for for an aesthetic reason, such as grain matching. Real wood veneered areas are more delicate with regards to refinishing. It can, however, be done if proper precautions are taken. 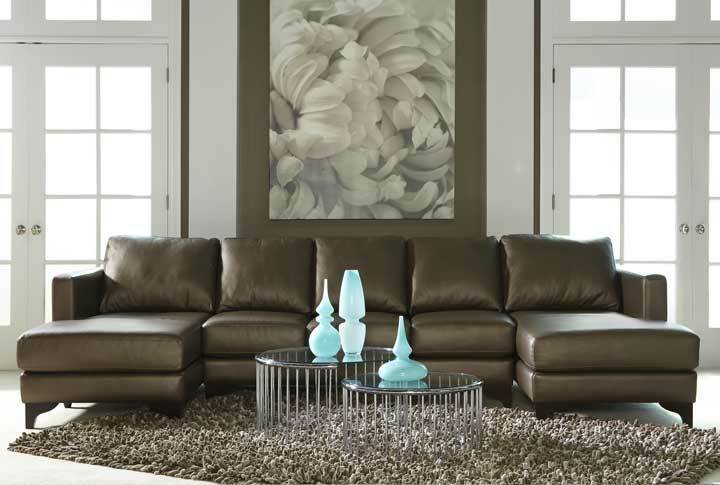 Quality furniture will never feature wood veneers over MDF (medium density fiberboard) or particleboard. Because both MDF and particleboard are made from wood or wood byproducts, such furniture may be advertised as “all wood”. Don’t be fooled, all wood does not necessarily mean solid wood. In the United States, the best bedroom furniture is made from solid North American hardwoods. 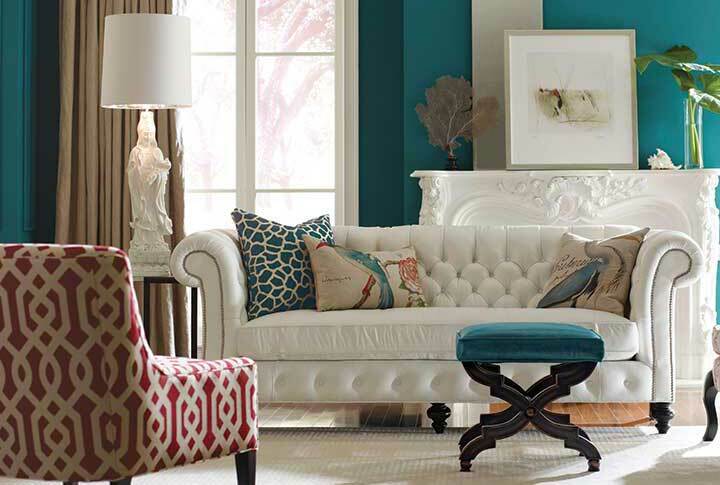 If you see furniture in catalogs or stores described as having a cherry, oak or walnut “finish”, beware. This usually means that a lesser quality wood or veneer has been stained to approximate the look of a more expensive wood. Cherry, Maple, Oak, etc. are species of hardwood trees, not “finishes”. Finish refers to how (or if) the piece is sealed or protected, e.g., with oil, varnish, etc., not the wood type. In fine furniture, “cherry” (or maple, walnut, etc.) never refers to a color or finish. High quality bedroom dressers and chests will feature drawers boxes that are 5/8” thick with solid hardwood sides and backs. Typically, in furniture made with premium woods such as cherry and walnut, the inside of the drawers, or “secondary wood”, will be made from another hardwood such as maple, oak, or ash. Although similar to cherry and walnut in density, these hardwoods are less expensive, making the furniture more affordable. If a premium wood is used as both the primary and secondary wood, expect to pay at least 25-50% more depending on size, number of drawers, etc. Although it is a softwood, cedar is sometimes an option for fine quality dresser drawers as it repels clothes-destroying insects such as moths. Expect to pay more for cedar drawer boxes as well. 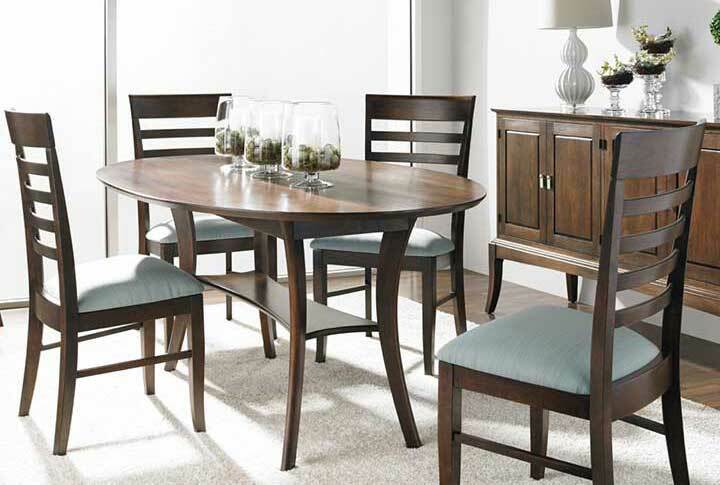 Avoid lesser quality options such as pine, or plywood which is more likely to snag clothing. Drawer boxes should be joined together with dovetails. Besides locking tightly together like a puzzle piece, the dovetail joint vastly increases the surface area for glue application. This makes it one of the strongest construction techniques in woodworking. In addition to the drawers, other areas of quality bedroom furniture should be built with combinations of traditional joinery methods such as dado, dovetail or lap joints, mortise and tenon or dowel construction, along with corner blocks or cross bracing reinforced with screws. As with dovetailing, these different types of joints feature interlocking or overlapping parts that are glued together creating a strong bond. These “old fashioned” methods of building furniture are a mark of quality and will stand up to a lifetime of use. While some of these construction features may be visible, most are hidden. You should always ask your salesperson about how the furniture is built. With the exception of beds, heirloom-quality bedroom furniture never requires assembly. Although headboards and footboards should also be crafted as described above, keep in mind the side rails that join the headboard to the footboard must be removable for delivery and future moves. There are many ways that headboards and footboards can be attached to the siderails. You can check the sturdiness of these connections by pushing back and forth against the headboard or footboard to see how much “give” there is. Some movement is to be expected, particularly on higher headboards where there is more leverage. However, the movement should not be excessive or feel “wobbly”. Also, as wood expands and contracts, there may be times when there is more or less movement. Slats should be constructed from a solid hardwood (usually maple or birch) or a hardwood plywood with solid wood bracing. In most beds, 3-4 slats mounted between the siderails supply the foundational support for a boxspring and mattress. Platform beds usually have 6-12 slats (depending on width) mounted at 2-3” intervals or a solid surface supported with cross bracing or slats. Platform systems provide enough support for the mattress alone, eliminating the need for a boxspring. Both standard slats or platform arrangements should feature center supports to prevent sagging. Center supports are critical for maintaining long-term structural integrity of the bed support system. Slats should never be made from particle board or mdf. The drawers of bedroom dressers and chests should have sturdy drawer slides that stand up to everyday use. Many traditional woodworkers or “purists” prefer wood drawer slides. We have found most consumers prefer drawers with a smoother operating metal glide system. Either way, there are good and bad versions of each. When it comes to “wood on wood” glides, there are three basic types: frame on frame construction, under-mount center slides and side-mounted wood glides. Frame on frame construction is the least complicated kind of system as there really are no slides at all. The drawer simply rests on the internal framing of the dresser or chest and “glides” against it as you pull the drawer forward. There are fine craftsman that choose this method, and you will often find it in antique furniture. There are some downsides, however. The further you pull the drawer out, the less support it receives. As the drawer moves forward, it begins to tilt toward the floor. If no “stops” are installed, it is easy to pull the drawer completely away from the cabinet, spilling the contents. As there is nothing guiding the drawer, there is more “give” or “wiggle” left to right as you open the drawer. Due to this “wiggle,” longer drawers can be a bit unwieldy to open and close. Additionally, because wood expands and contracts, during the warmer humid months drawers may swell becoming more difficult to use. This can be mitigated to some degree by waxing the drawers to minimize friction. With an under-mount center slide system, a block of wood with a rectangular or dovetail-shaped channel is mounted in the center of the underneath side of the drawer running from front to back. This channel fits over a corresponding piece of wood that is mounted in the dresser itself. The channel glides along the wood as the drawer is opened and closed. The center slide keeps the drawer from moving as easily from side to side as the frame-on-frame drawer. With only center support, however, longer drawers can also be difficult to pull smoothly. Better quality furniture will feature two center-mounted glides in larger drawers to minimize side movement. As with the frame on frame construction, it is important to have a “stopping” system that prevents the drawer from falling out, as the further the drawer is pulled forward the less support is given. Center wood glides are affected by humidity as well and may require waxing from time to time. The most flexible wood on wood glide system is the adjustable, side-mounted slides. 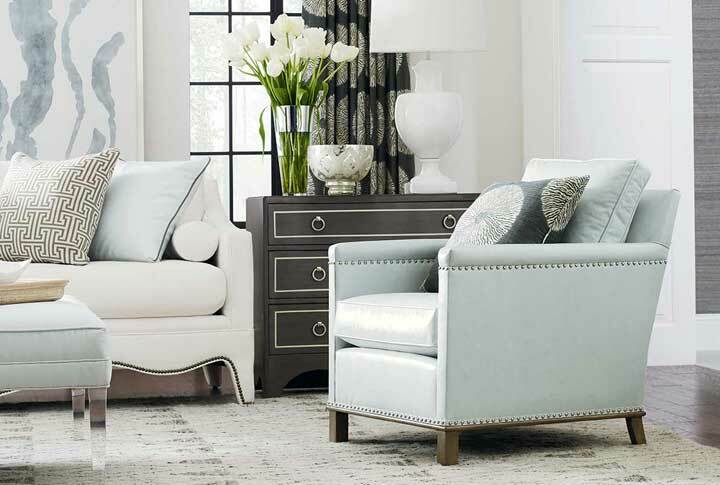 This system is used in our Sarah and Berkeley bedroom collections. 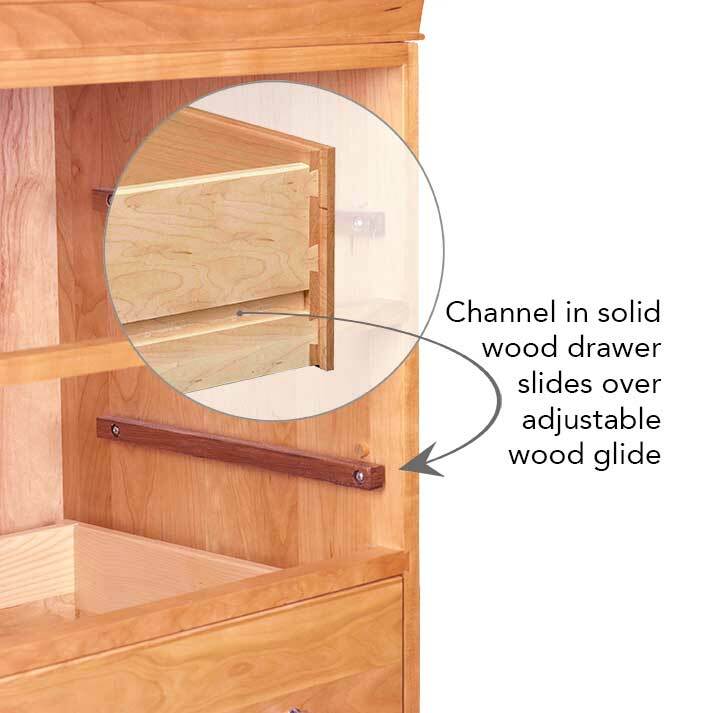 Similar to a center glide system in that a wood channel rests on a wood slide, side-mounted systems feature a channel on each side of the drawer that is guided by glides mounted on the interior sides of the chest. This dual glide method provides more stability and significantly reduces side-to-side movement. These side-mount slides also feature a “stop” that prevents accidental spilling. As with other wood glide systems, they can be more difficult to open in humid weather. In addition to waxing, however, these glides can be adjusted to return smooth operation. The slides mounted inside the chest are spring loaded with screws that can be loosened or tightened to allow the perfect fit. Metal glides offer a silky smooth ease of operation that cannot be duplicated with wood on wood systems but long term performance is greatly affected by quality and mount location. As with wood slide systems, metal glides can be center mounted, side mounted or undermounted. There is great variation in metal glide quality with the material used being an important factor influencing performance. Zinc coated steel is the best and most expensive option while epoxy-coated (usually white or ivory) metal is the least expensive with poorest performance. Almost all metal glide systems feature stops that prevent accidental removal of the drawers. Center-mount metal glides are mounted in the center of the underside of the drawer. They are not as stable as their solid wood counterpart and are cheaper than comparable side glides as the glide cost is much less per drawer. The best bedroom furniture will not use center metal glides as they have more side to side movement which stresses both the glides and mounting screws leading to a higher failure rate. Side-mounted metal glides are stronger and more stable than center mount but are less attractive. They are visible on each side of the drawer box marring the beauty of a solid wood dresser when the drawers are open. Additionally, they are more likely to catch and snag clothing. They are frequently used in office furniture, such as file cabinets, as they typically have a high load capacity. Undermounted metal glides offer the improved stability of side-mounted slides but are “hidden” on the sides underneath the drawers. Their zero-visibility allows a full appreciation of well-crafted solid wood drawer boxes. The under-mount glides receive the least amount of stress on the sliding mechanism offering superior performance when compared to side glides of equal build quality. The best under-mount metal glides are “self-closing” with a gentle push and offer full access to the back of the drawer. Wood glides and less expensive metal glides leave 4-5 inches of the drawer inside the cabinet when fully opened, limiting visual accessibility.